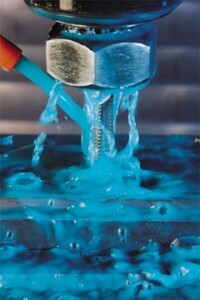 Incorporating high-performance Master Chemical metalworking fluids into your industrial cutting and grinding operations can help avoid issues such as corrosion with your tools, can lead to reduced required maintenance, and can help achieve better overall tool life. For businesses in Dallas, Fort Worth, and other nearby cities in TX that want to acquire machining fluids from industry-leader Master Chemical, the industrial supplier to turn to is CRC Inc. of Texas. We offer a comprehensive selection of Master Chemical’s TRIM metalworking fluids, featuring a wide variety of both soluble oil and semisynthetic products that can be utilized in many specialized manufacturing industries, including aerospace and automotive. When you need fluids that you can trust for superior performance even in difficult cutting and grinding processes, acquiring Master Chemical metalworking fluids from CRC Inc. of Texas is the best choice you can make. When partnering with CRC Inc. of Texas for your metalworking fluids and other industrial supplies, you can rest assured that we’ll work hard to help you identify ways to improve processes and reduce costs within your operation. Our representatives have immense knowledge of all the products in our inventory as well as their applications, and can be trusted to make recommendations that can improve overall productivity and reduce your bottom line. To learn more about the benefits of choosing CRC Inc. of Texas as your industrial supplier for metalworking fluids and all other necessary supplies, please contact us today. 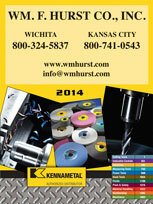 We are a Hurst Family Company that proudly serves Dallas, Fort Worth, and surrounding cities in TX.